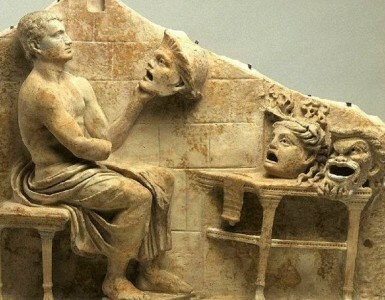 Theatre as a piece of literature (drama), as well as stage act (performance), shapes human actions and circumstances crafted by the playwright, either taken from the historic present and past, or based on mythological issues and imaginary situations. Therefore, the theatrical performance, which is the most integrated and complex expression of the idea as a whole, pictures/interprets (-without representing reality-) at a higher or a lower degree of fidelity and plausibility, persons, behaviors and relations that directly or indirectly denote what really exists or is potentially feasible (Samuel, 1994). However, what is after all mnemonically and consciously recorded in relation with the theatre of a certain historical period and society? How through the spectators’ collective artistic-theatrical experiences, not only in media res but also a posteriori, a certain view about the theatrical reality of the Past is shaped and an image for the cultural conscience and identity of the period under consideration is constituted on a social basis (Schudson, 1989)? Is the text, as the museum piece depiction of an aesthetic and ideology and a style of writing that, beginning from the playwright-creator, is extended to the receiver-spectator, οr maybe even more, the form of the complex stage transcription of the contextual speech with the mediation of the director and the other contributors of the performance and therefore, is it maybe the art of representation itself that marks and shapes the conscience of the Past via its theatrical depiction (Maklin ,²2002 )? If it is the former, i.e. if the impression that we obtain for the Past through theatre is limited only to the way that it is recorded on the dramatic text by the playwright, then the result is of course typically correct, with statistic elements and data analysis content that however, it may be far apart from the objective reality since the writing of any text (much more that of a dramatic one) must not necessarily include direct contact with the spectator as its final receiver. If only the latter was happening, i.e. if our research was limited to the recording of the performances of the time, then probably authentic results might be produced, which might be about the modern approach for the desired purpose, while they would not be able to conceive the problem as a whole, since many of the “sample”-texts of the specific period would be excluded from our analysis, because of the fact that they did not have the chance to be successful or to appear on stage (Burke, 2003). As a result, the pursuit of memory and conscience that is shaped in a specific or further historical period, must be sought not only through the intertextual presence of the structural substances that comprise it, but also via the further artistic experience that they have caused as a performance to the audience of the time. In that sense, text and performance Primary writing and Secondary transcription of History into Theatre, are parameters of equal importance for our research and interest us just the same. After clarifying these prime questions, new concerns/reflections arise, that need to be answered(Jardine, 2005). Which is the “historic truth”, the “subjectivity” and the “reality” that historic knowledge claims to possess and how are all those received by the conscience of a future researcher? Is “History” the total sum of the existing recorded facts known to the future generations because of their impact or because (-maybe even more-) apart from this, it is the apparent or latent factors that contributed to the creation of the “once in time and place happening” historical event, as indicatively might be, for example, a war incident or an event that took place during a conflict, a revolution, an uprising or a social struggle. Of equal importance is also the fact, that one cannot limit its relativity to the actions and behaviors of a certain person and personage of the “hero” type that were determining for the events and contributed to the formation of the course of the events (Hobsbawm, 1972: 3-17). Within this range, any data that signify the social, political, cultural life of an era may be included, and as Past, they are not placed into what has already happened; on the contrary, they participate in the Present and shape the Future. In that sense, History in Theatre comprises a wide thematic source of plays, since – more or less- a big part of international dramaturgy has historic content (Connerton, 1989). In any case, History is for the playwright a “Data Base” and theatre a “Search Engine”, which creates and projects live the “moments” that the creative conscience chose to present. The main purpose is the way, the reasons and the mechanisms that drive the inscription of the specific historic event or person in the collective as well as the individual memory from which it is reflected with the certain image and is formed on stage. It is the ideological, social, artistic, political, historical and other factors that act drastically and cause the certain composition, which as such, it may differentiate and keep a distance, not only from the objectively existing (“historical person”), but also from the way with which it has been interpreted by other former contemporary or succeeding creators (Fuselli, 1975). The works of this category are not strictly based on the purely “historical” subject reference, i.e. the History only known as the recording of war incidents and heroic actions during emergency situations for a state, a nation, a country. On the contrary, “historical” might be considered the content of plays with social character, with dramatic or comic form, as long as certain circumstances, actions and events further appear in them, which they do not only concern the specific individual-hero of the play, but also the whole of it and deal with social changes and conflicts, political and ideological confrontations via which History is written and Culture is developed. In this way, our analysis may equally contain Aeschylus’ “Persians” and Shakespeare’s “Richard III” (CARLSON, 2003), as well as Aristophnes’ “Lysistrata” and Marlow’s “Tamerlan”, Shakespeare’s “Coriolanus” and Heiner Müller’s “Mauser”, Maxim Gorky’s “The Petty bourgeois” and Brecht’s “Galileo”, while it may equally contain Copi’s “Eva Perón” and Bob Wilson’s “The Life and Times of Joseph Stalin”. However, far from this specific dimension, from its birth until today, theatre has covered a broad period of the development of human culture. Numerous playwrights and iconic works have been recorded, comprising in their own way “archetypes” or “models” for others to follow, while the contributors of the stage interpretation of the texts, beginning with directors and actors and following with theatre designers and musicians, have offered the best to the human culture and have uplifted theatre to the level of a complex artistic creation, a social phenomenon and an interactive cultural system of a two-way communication (Fischer- Lichte, 2008). It is therefore obligatory to create a History of the Theatre, a historical approach in the theatrical creation, that far from traditional principles and values, from any “fetishization of the archive”, it ought to simultaneously co-examine both analytically and synthetically all the parameters that are related to theatre, not only as text but also as performance, thus introducing a new methodology for the approach in the History of the Theatre and projecting the need for reconsideration of the existing static assessment of the multidimensional cultural phenomenon that theatre is, after all (Farr R. – Moscovicis, 1984). Is it therefore the contribution of some exceptional “individualities” that defined the “a posteriori” measurable result or maybe the impersonal mass that formed them? In any case, is it worth being interested in the incidents as well as the reasons that created them, as one can see in Fernando Arrabal’s “Guernica” and Heiner Müller’s “Germania”, or maybe in the intentions, motives and compromises that were realized or remained on the level of the circumstances, which they (positively or negatively) defined them? How in the times of “posterior modernity”, in an era where (according to Derrida) “there is nothing except for the text”, in which the reality “itself” does not exist, but it is represented and “pictured” (Baudrillard), how History may be approached and interpreted with the same mechanisms and ways it used to in the past (Marche, 2003: 37-57)? Just as the litterateur, the dramatic author deals with the historical person or event in the same way and attempts to reshape History- not of course objectively, since this is not part of his/her conscious goals. 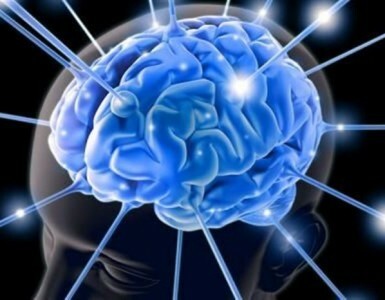 On the contrary, based on the historical event, s/he attempts to challenge the receiver (reader or spectator) with excitable and mental emotion, by transmitting to him/her information and experiences related with direct or indirect data, which even if they are interpreted with a higher or a lower degree of fidelity, they still cause emotional communion and aesthetic delight to all those who communicate with them via simply reading or viewing (Jestrovic, 2005). As one may perceive, a romantic tragedy by V. Hugo (“Lucrecia Borgia”) is differently structured and acts differently upon both the signifier and the signified from a historical drama by Schiller “(Don Carlos”). 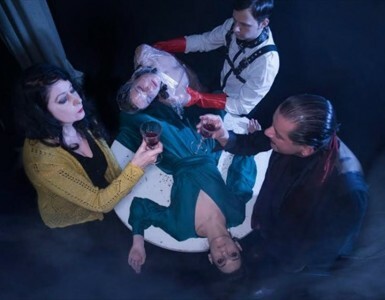 In the same way, a Brechtian play about the 2nd World War (“Fear and Misery of the third Reich”) acts differently from a play by Ariane Mnouchkin about the contemporary migration flow problem. (“The Last Caravanserai”). Also, the intentions of Alexandre Dumas and those of Albert Camus are different when in their plays of the same subject and title (“Caligula”), they both refer to the Roman Emperor. The same applies to Georg Büchner and Camil Petrescu when they present their play “Danton”. In any case, under no circumstances does the literary as well as the dramatic text substitute the archive sources or the historical events (which in some cases may be transferred and interpreted theatrically with plays that might belong to the “Documentary theatre” category), such as Peter Weiss’ “The Investigation” and “Trotsky in Exile”, or H. Müller’s “Germania” and Romain Rolland’s “Forteenth of July”, since the aesthetic and artistic aim coexists with the didactic and ideological one (Schroeder, 1989). Therefore, even in the extreme case of the “Working Class Drama” of the beginning of the 20th century, or the Brechtian “didactic” and “epic” theatre, (e.x. “Mother Courage and her children”, “The Flight across the Ocean”), even if History undoubtedly sets the background and the canvas on which the plot develops, under no circumstances does it substitute the reality with which it deals with terms of art and surely not science. Such kind of dramatic texts that constitute the main body of the dramaturgy of a certain era, give us the chance to form the basis for dealing with the Past from the Present, exploit the already completed historical event, and eventually shape the identity and the character of a society (Perkins- Wilder, 2010). 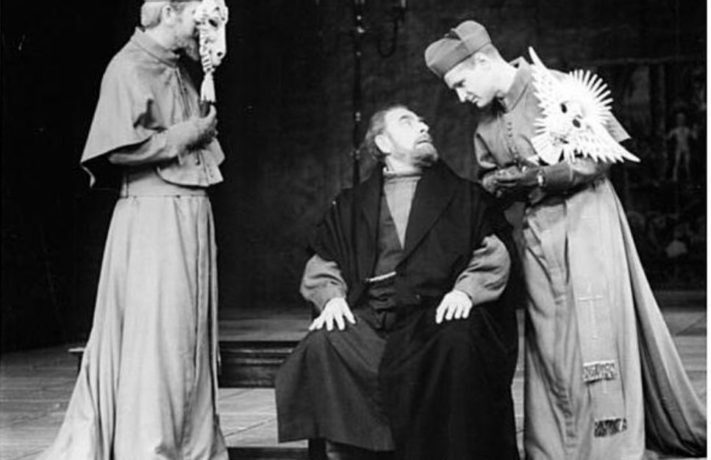 Simultaneously and with much greater importance however, the function of the theatrical memory is accomplished not only by reading the text, but also by attending the performance. Therefore, the theatrical performance appears as a determining factor for the shaping of the proposed ideas, since it constitutes the basic vehicle for the formation and preservation of the spectator’s memory, and therefore the shaping of the relevant collective memory of the posterior society for its recent as well as its more distant historical past (Carlson, 2003 · Schacter, 2001 · Samuel, 1994). In this sense, the Director displaces the playwright and the illusionistic reality of the theatrical performance substitutes the objective reality of History. Connerton P. (1989), How Societies Remember, New York, Cambridge University Press. Farr R. – Moscovisi S. (1984), Social Representations, Cambridge, Cambridge University Press. Fusseli P. (1975), The Great War and Modern Memory, New York, Oxford University Press. Hobsbawm E. (1972), ´´The social function of the past: some questions´´, Past Present 55 ( 1972) 3-17. Jardine L. (2005), Reading Shakespeare Historically, London, Routledge. Jestrovic S. (2005), «The Theatrical Memory of Space: From Piscator and Brecht to Belgrade», New Theatre Quarterly 21:4 (2005):358-366. Perkins- Wilder L. (2010), Shakespeare’s Memory Theatre Recollection, Properties and Character, Cambridge, Cambridge University Press. Samuel R. (1994), Theatres of Memory Past and Present in Contemporary Culture, London, Verso. Schudson M. (1989), “The Present in the Past Versus the Past in the Present”, Communication ll, p.p l05­ll2.